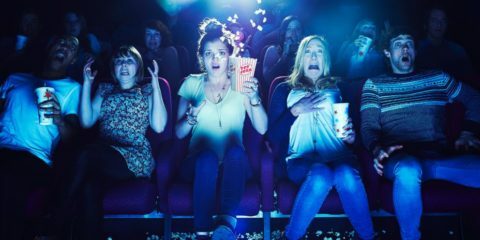 When it comes to cinematic plot twists, they usually end up in one of a number of categories. Firstly there are the out-of-nowhere, jaw-hitting-the-floor type surprises that genuinely catch you off guard – think LA Confidential for example. Then there are the ‘hunch’ offerings, where you are fairly confident you get it but are not 100% sure. And then, lest we forget, we have the bloody annoying twists, those that do not really make sense and render the rest of the film pointless – as an example, I still get cold sweats thinking how hacked off I was by Shyamalan’s The Village. Well, the makers of Faces In The Crowd seem to have invented a category of their own here. Not only is the twist reasonably obvious from fairly early on in the movie, but they then make it blindingly obvious about three-quarters in to everybody watching, only to stumble along under the misguided belief that people are still playing a guessing game and that they need a shocking ‘reveal’ at the climax. This is a routine serial killer thriller, ever-so slightly enlivened by a slight skewing of the formula. 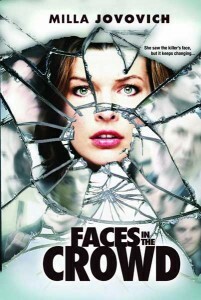 Milla Jovovich plays Anna Marchant, a schoolteacher who happens to live in a city in the grip of a killer panic, with a murderer dubbed Tearjerker Jack offing women left, right and centre. Electing to walk home after a night drinking (instead of getting a cab with her friends), Anna wanders into Jack slicing up his latest victim and after a brief struggle, she falls over a bridge into the river. Having suffered a whack on her head, when Anna is fished out she now suffers from ‘Face Blindness’, where she cannot recognise faces unless they have a very distinctive feature. In fact, not only can she not recognise people, but the second she loses eye contact with them, in her mind their features completely change. Suddenly Anna can no longer recognise her friends, her partner and, worst of all, the killer himself, who is eager to make sure she stays silent. That is about it plot-wise, with Julian McMahon popping up as the detective on the killer’s trail, and The Walking Dead’s Sarah Wayne Callies in a small role as Anna’s drinking buddy. The face blindness element is a neat touch, but it does make it somewhat confusing viewing when you have eight or so different actors playing the same character. There are quite a few ‘am I meant to know who that is?’ moments, but in a way that merely backs up what the central character is going through. Jovovich is fine enough, but as anybody who has sat through the Resident Evil movies know, she is never going to produce a stunning performance. McMahon has little to do other than stroke his goatee and pat his paunch, although he does get a love scene that jars a bit. The direction by Julien Magnat is solid enough, and as a straight-to-DVD offering you could certainly do a lot worse. There are real problems with the script though, with plenty of corny exchanges and dumb dialogue that disrupts the flow. 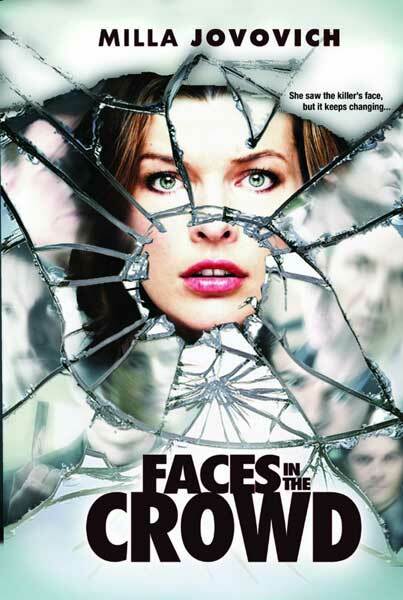 Faces In The Crowd is certainly not a film that I would sit through again, but as a diversionary piece of entertainment it was perfectly adequate.